General consensus is the copper ones are not worth the reliability issues unless it's a dedicated racecar with really big power. The Cosworth ones seem to be the most recommended (have the largest range of bore sizes and thicknesses), but the Tomei and HKS options are also happily used. 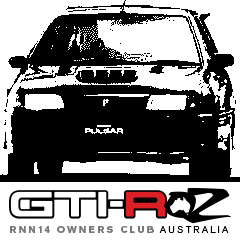 Cometic are not recommended for the GTI-R.
We have a couple of different threads discussing head gaskets and the options/failures in detail. If you are an owner, join the club and have a read!